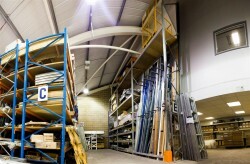 Hampshire Mezzanine Floors are a leading main contractor based in Hampshire’s major industrial city of Southampton. HMF offer the complete design build for mainly industrial warehouses, retail trade premises as well as offices. 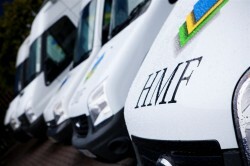 HMF have been in business for 26 years and in July 2002, moved away from their previous home at Units 2-4 in the City Industrial Park and into their new premises, located in Northam, Southampton. Since the move, Hampshire Mezzanine Floors have flourished these past 11 years, taking on new accounts in a wide sector of industrial & commercial companies and becoming a market leader. The original building was constructed for Inchcape PLC and HMF bought the building from them, moving on to remodel it with new curtain walling and windows to change the external appearance. Moreover, internally HMF fitted a new mezzanine floor, partitions and ceilings to transform what was initially mainly a warehouse into a building with both warehouse office & workshop facilities. 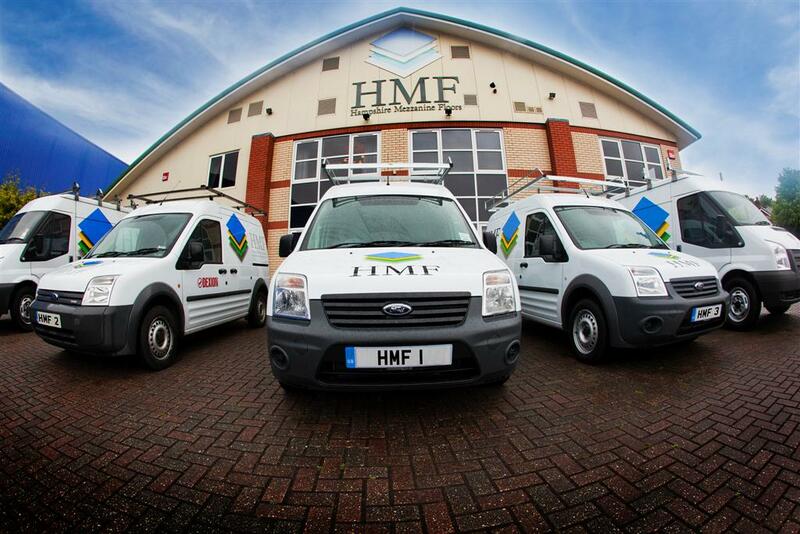 New mechanical and electrical systems were fitted using the latest energy efficient inverter air conditioning systems to make the atmosphere pleasant for the HMF team to ensure throughout the differing temperature changes. The previous HMF building had very little natural light due to a lack of windows, was cramped and parking was an issue, therefore Hampshire Mezzanine Floors recognised that to own their own property was desirable. HMF’s premises at Hawkeswood Road has two large open plan office areas, six separate offices, a large training room, state of the art kitchen and toilet facilities as well as a stunning meeting room. Moreover, a private car park as well as security gates and fencing ensure for much more comfortable and secure premises for company and staff vehicles. The opening of the building in 2002 was celebrated in some style as all HMF staff, many customers as well as the new site’s neighbours were invited to enjoy a food and drink on a lovely summer’s day, accompanied by a jazz band. Now in 2013, the move from the rented units in the industrial park to these stunning premises seems a distant memory, however it still marks a significant period in the history of Hampshire Mezzanine Floors who now have used their own experiences of relocating & fitting out their own industrial building to the benefit of many other companies since then where HMF have designed and fit out complete new facilities for their own customers.